strawberry pecan salad with white wine vinaigrette | omfg. so good. I don’t know about you, but mid-way through summer I’m in dire need of new salad ideas. Maybe because it’s hotter than the bowels of hell here in AZ by the time July rolls around and absolutely nothing else sounds appealing. Salads are the perfect meal option for lazy mom’s like me, they’re basically idiot proof considering you can combine pretty much any fruit with any cheese and any nut and end up with something delicious. Perfect example. 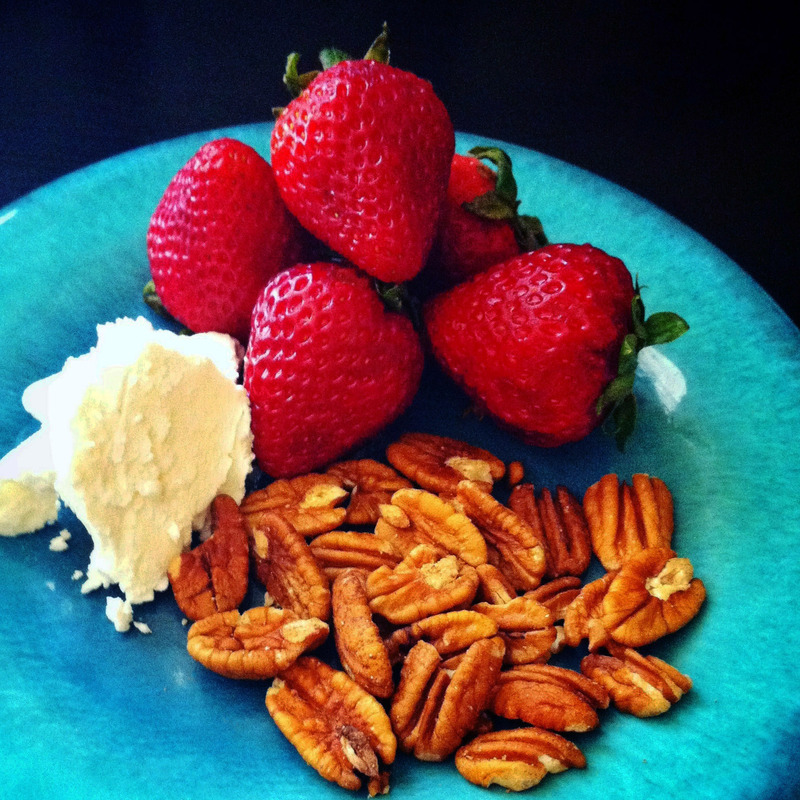 Strawberries, pecans and goat cheese. Try this. You’ll like it. 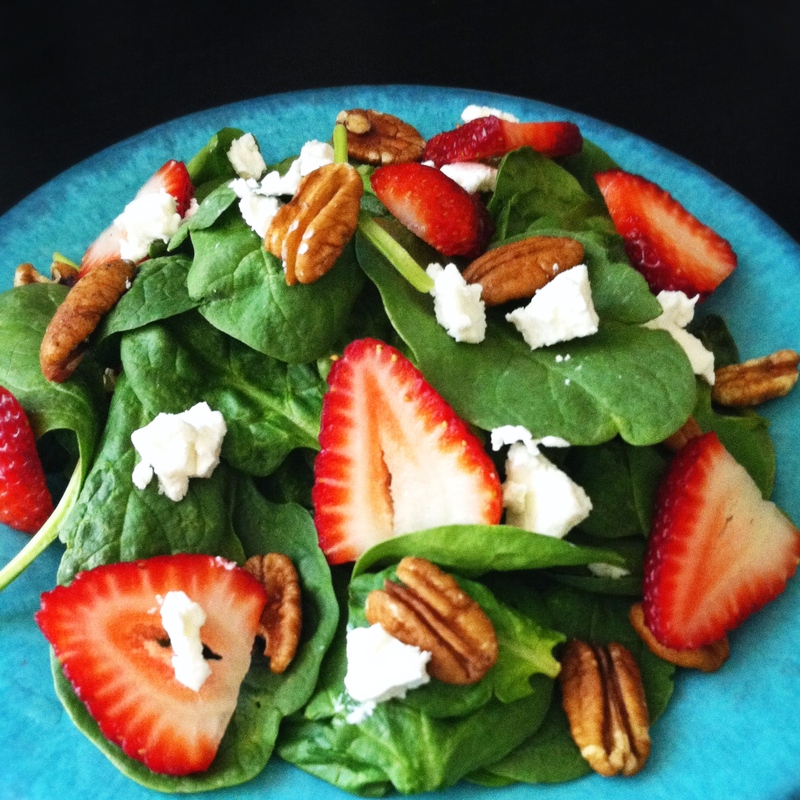 In a large mixing bowl, toss spinach, strawberry slices and pecan halves. In a small mixing bowl, whisk vinegar, olive oil, sugar, dill, salt & pepper to combine. Pour the dressing over the salad ingredients and toss to coat. Plate and sprinkle with crumbled goat cheese. This salad is so easy to make and has a perfect sweet, tangy, crunchy, creamy thing going on. If you’re feeling ambitious you could even add some sliced grilled chicken breast. Perfect for a lazy summer afternoon.